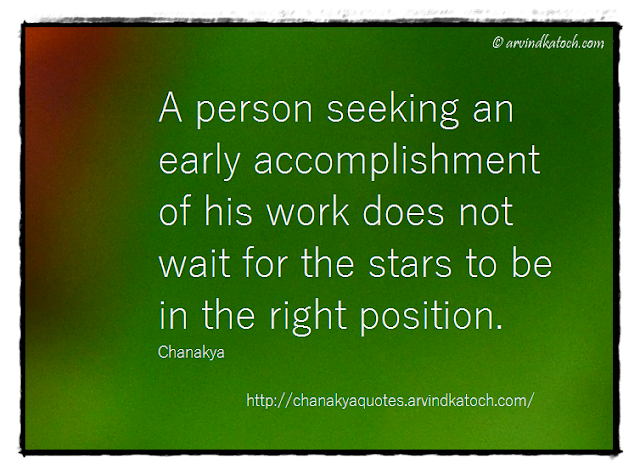 "A person seeking an early accomplishment of his work does not wait for the stars to be in the right position. 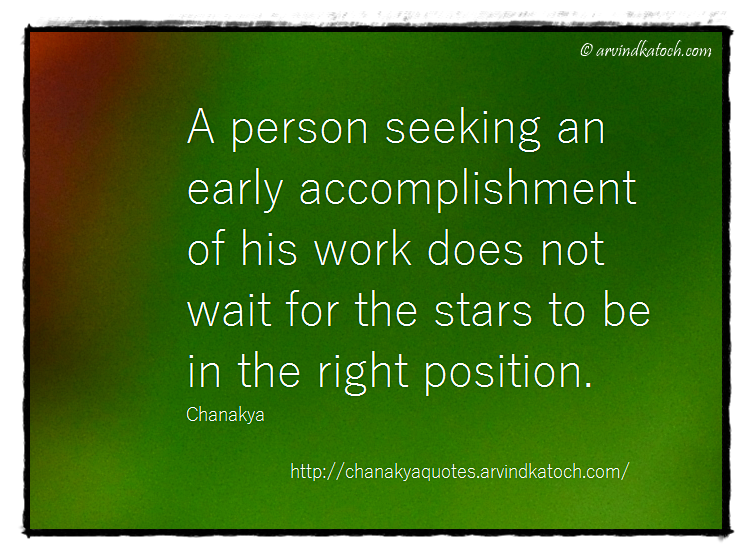 Chanakya"
Chanakya Wise Quote Meaning/Explanation- In this Quote, Chanakya says that a person who is truly interested in the accomplishment of his goals never waits for anything and just start his work immediately. He conveys us message through this quote that we should not waste time on unnecessary things and only focus on our goal or work in hand.